We are beyond excited to announce the grand opening of our first brick and mortar restaurant, Swift & Savory on Main! Located in the heart of downtown Duvall, our restaurant has something for everyone. The restaurant features grab-and-go eats for your busy workday, and a casual sit-down menu complete with a rotating tap list of local favorites for a much-deserved happy hour. 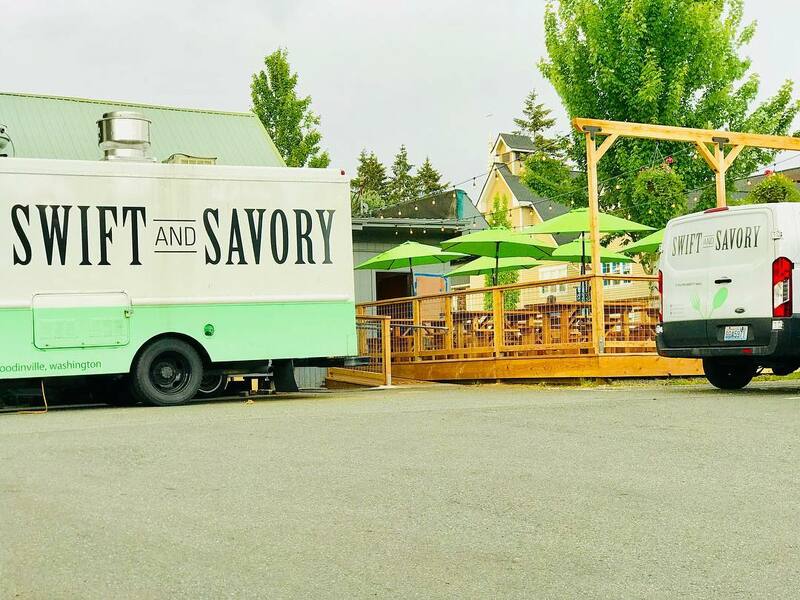 With a farmhouse chic interior, a big beer garden out front, and a shady patio in back, Swift & Savory on Main is bound to be your new favorite spot. Online ordering for to go orders now available!